Getting a Commercial Driver’s License in Mississippi proves that you are eligible to operate commercial truck vehicles. A CDL can only be obtained by meeting several state and federal requirements such as passing a written knowledge exam and an on-road skills test. This is to ensure safety for those who are on the road. Unlike most states, one can already apply for a driver’s license at the age of 17. However, those who wish to drive interstate must still be 21 years or older. The State of Mississippi also requires CDL applicants to pass a DOT medical examination, which will be done by a DOT accredited medical professional. The first step in obtaining a CDL in Mississippi is to read the state’s Professional Driver’s Manual, which can be acquired at any local DMV office. This manual contains all necessary information about truck driving and about the areas where applicants will be tested on. After studying, you can then proceed to your nearest DMV office and schedule a date for the written exam. When you pass the written exam, you will be given a temporary CDL permit that will allow you to practice driving a commercial truck while under the supervision of a licensed driver. If you feel that you have enough experience, you can then schedule for a road skills test. This test consists of a pre-trip inspection, basic driving skills, and actual on-road test. You must pass all parts to get a CDL. We are always looking for new truck driving schools to add to out directory list. If you know of any active facilities you can submit them to us through our contact form. When you contact us, please include the name of the school, its address and phone number. A truck driving license in Mississippi provides you with the eligibility to drive commercial truck vehicles either intrastate or interstate. A CDL is only given to applicants who pass the state and federal requirements for truck drivers in order to ensure that only those who are able drive safely and efficiently are the ones who will be on the road. There had been recent developments with regards to rules and regulations in order to endure the safety of the public and the state. In the state of Mississippi, the minimum age requirement in order to be eligible for commercial truck driving is 17 although this would only allow you to drive only within the state. For those who will be driving interstate, you will have to be at least 21 years old. 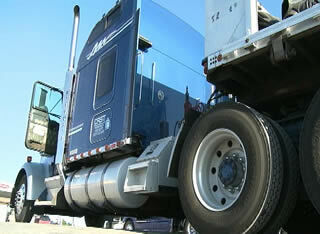 The state also requires you to pass a DOT medical certification as well as vision exam before you can apply for a CDL. The certification has to be done by a DOT accredited medical professional and you must also have a visual acuity of at least 20/40. A clean driving record is also important for at least the past 4 to 6 years. Any conviction during that time period may cause your application to be denied. The first step to the application process however, is to study the Professional Driver’s Manual which is available in any driver’s license office. The manual contains everything that you need to know about truck driving and also about the areas where you will be tested on during the practical exam. After you have studied the manual well, submit your application to the licensing office together with your DOT medical and visual certificate, current driver’s license, and proof of identity such as your Social Security Number. 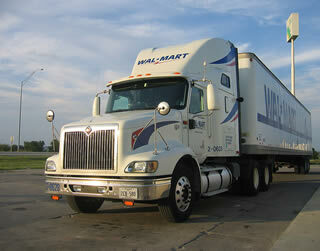 You will need to undergo a written test in order to get a CDL permit. When you pass the written exam, you will be given a CDL permit which will allow you to practice driving on an actual truck accompanied by a licensed individual. It is valid for a few months only so make sure that you get the most out of your permit. You will be required to take the actual driving test before the permit expires. It involves three particular areas: pre-trip inspection, basic driving skills, and road test. You will need to pass all of the said tests in order for you to gain your truck driving license. When you pass all of the exams, you will then be given your truck driving license in Mississippi. The fee for the CDL is $41 for those who are above 21 and $6 for those who are below 21 years old. Take note that those who are below 21 cannot apply for a hazmat endorsement or drive interstate. You also have to surrender your current driver’s license as it is no longer allowed for one to have two driver’s licenses at the same time. The license will be valid for a few years and will have to be renewed before its expiration date. To learn more about truck driving schools in MS that are currently offering training visit this page.